We admit it – we’re on board with this gimmick. 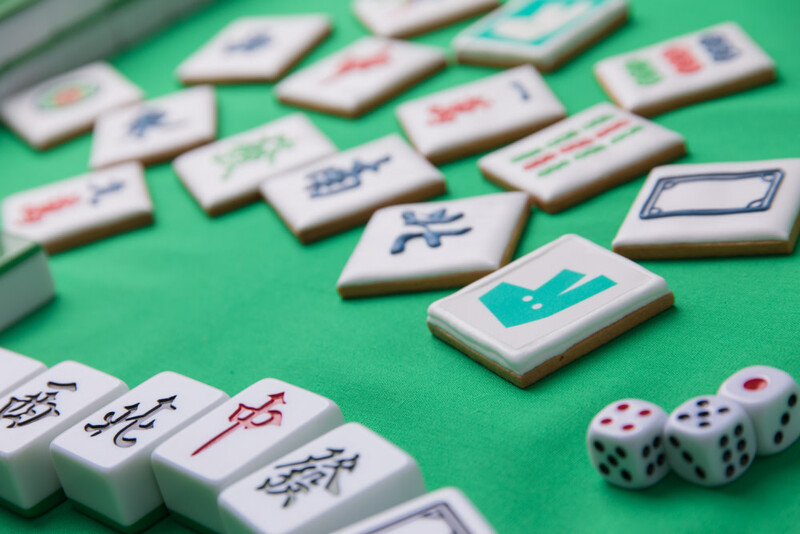 Something about edible mahjong tiles just ticks the right boxes for us, and we want them, even though they won’t make that satisfying clack when we nibble on them. These are just for eating, gift giving and probably – let’s face it – Instagramming. Available free from 25 January with orders of $150 or more through Deliveroo Food Market in Sai Ying Pun. The bad news is that these goodies will be yours on a first come, first served basis, so if you’ve got your sights set on these edible tiles, order yourself some food on the 25th. The Drunken Pot in Causeway Bay has front-row seats to feast on hot pot with a view of the show. In addition, both the Causeway Bay and Tsim Sha Tsui venues are showcasing their new set menus for winter from 21 January–10 February. On Wednesday, 6 February, diners can dive into the Year of the Pig Hot Pot Banquet Set ($468 per head, for groups of 4+). Indulge in the Buddha Jumps over the Wall broth, made with fresh chicken and dried mushrooms, abalone, dried scallop, sea cucumber, vegetarian shark’s fin and fish maw slow-cooked for more than 10 hours. 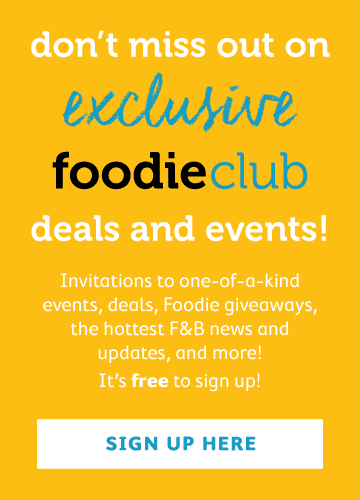 This goes alongside exclusive Chinese New Year items like foie gras minced pork balls ($108 for 4), made with Mangalica minced pork from Hungary and foie gras from Italy, flower-shaped caviar pork balls ($88 for 3) and piglet-shaped dumplings ($88 for 3), made with sweetcorn and pork. The Drunken Pot also delivers hot pot sets in recyclable picnic-style packaging, complete with utensils, a reusable tablecloth and glasses, wet tissues and free rental of the pot and gas cooker (with refundable deposit), if you want to enjoy hot pot at home. If you’re looking for a wow-worthy festive pudding, Michelin-starred Ming Court has a selection of showstoppers this year. The new kumquat and water chestnut Chinese New Year pudding ($268) sounds pretty intriguing and auspicious, with kumquat symbolising good luck, or you can spring for the classic abalone, conpoy, air-dried preserved meat and turnip pudding ($298), but we’ve got our eye on the aromatic flavours of the aged Pu’er tea, dark brown sugar and coconut pudding ($238). Email mingcourt@cordishotels.com or order online. 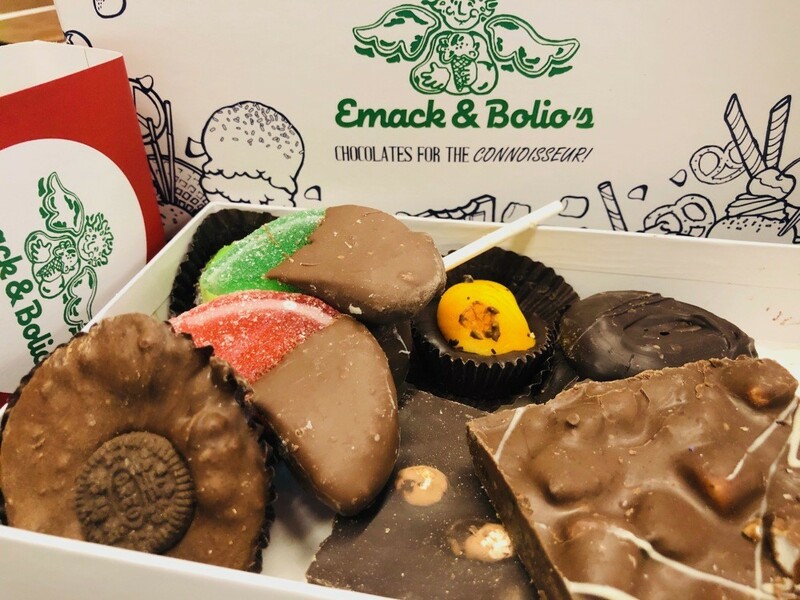 Even the Instagram-favourite over-the-top ice-cream makers at Emack & Bolio’s have created something special for the Year of the Pig. Their Chinese New Year gift box ($198) full of handmade chocolates contains a panoply of interesting flavours, with 30 different crazy concoctions to choose from to make your own bespoke box. From cosmic brownies and chocolate marshmallows pops to Oreo cups and peppermint bark, you can pick eight of your faves to suit your mood or your sweet tooth. 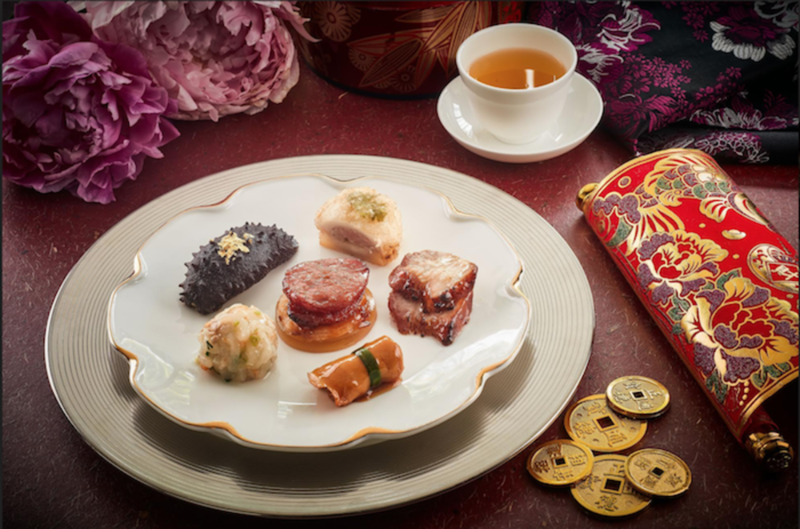 Ring in the Year of the Pig in style at the Mandarin Oriental with a host of CNY festivities. Watch fireworks over Victoria Harbour from two-Michelin-starred Pierre on the 25th floor of the hotel with a six-course dinner on Wednesday, 6 February ($2,288/person) or at Michelin-starred Cantonese restaurant Man Wah with a festive dim sum menu and six-course lunch ($788/person) on 5–7 February. 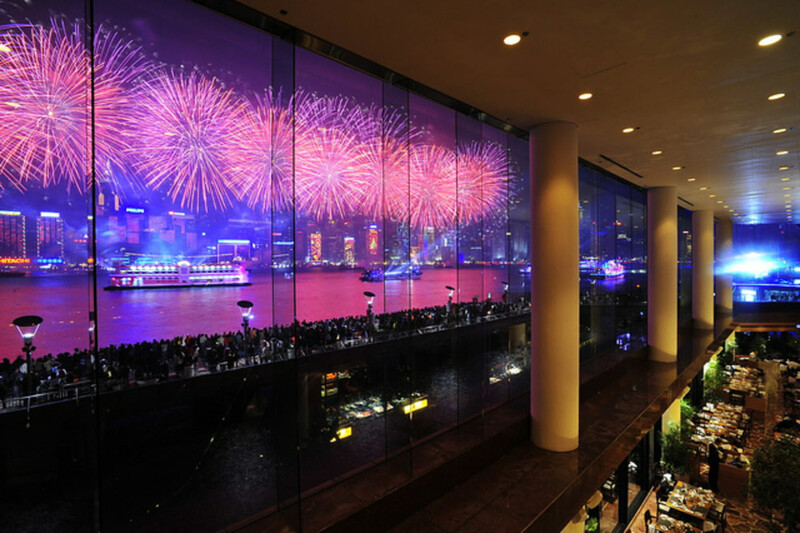 There’s also a six-course dinner at Man Wah ($1,988/ person) on 6 February, just in time for the fireworks. Get a visit from the God of Wealth from 5–6 February at 12–2pm and 7–9pm or watch dragon beard candy being made in the lobby on 6 February from 3–5pm. A traditional lion dance will welcome all things auspicious in the lobby on 8 February at 12pm. 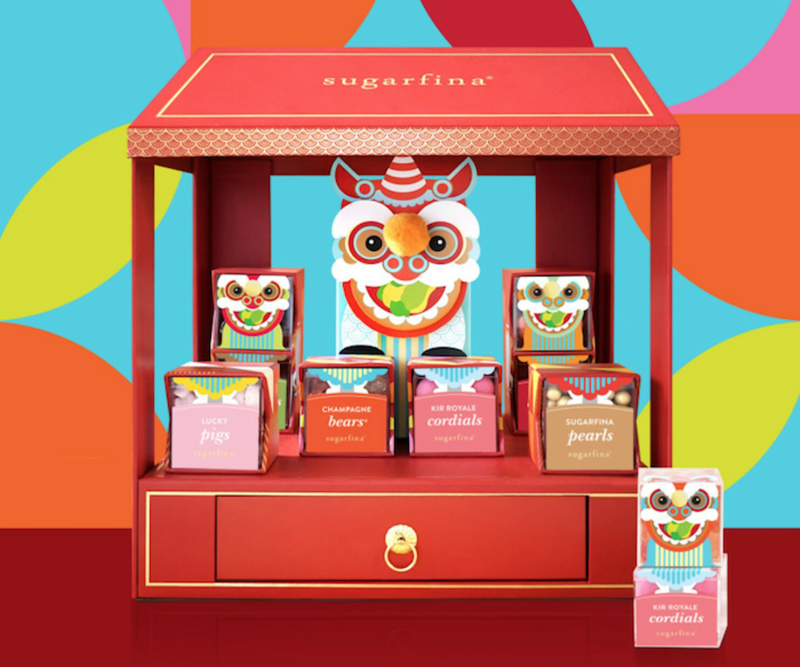 Take CNY gifting to another level with a Lion Dance Candy Bento Box ($898) from Sugarfina. Fashioned like a stage, with a paper lion at the centre surrounded by eight candy cubes filled with flavours such as champagne bears, lucky strawberry pigs, Apollo kumquat chocolates, golden chocolate pearls, Fuji apple caramels, dark chocolate pistachios, royal roses and Kir royal cordials, there’s even a drawer packed with adorable pom-pom lion red envelopes. It’s definitely a pricey present to give, although its unique look will earn a coveted spot on anyone’s desk. 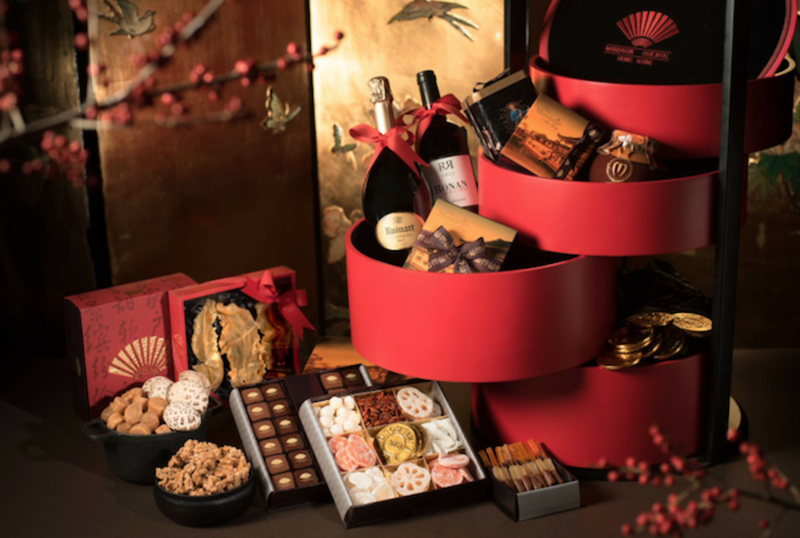 There are also more traditional gift options such as the Candy Bento Box ($198), featuring a beautiful red gift box embossed with a gold-foil gingko leaf and a golden piggy charm. 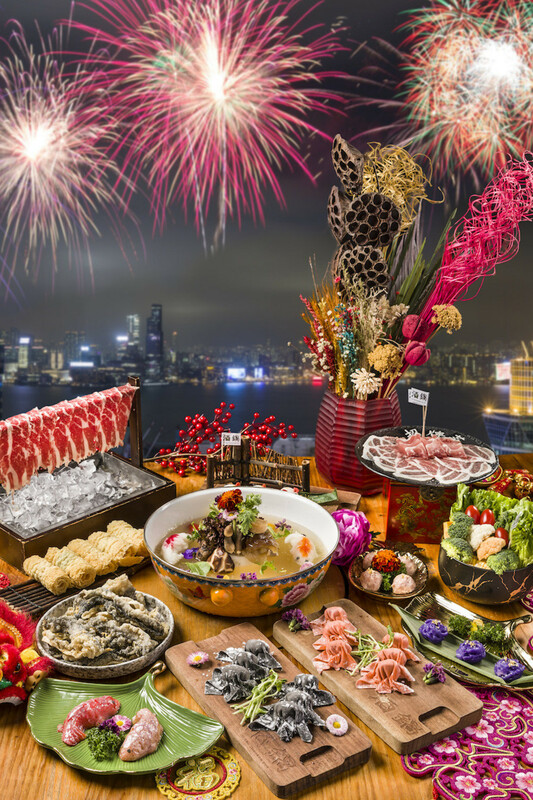 For guaranteed killer views of the fireworks, you can’t beat the award-winning Cantonese cuisine at two-Michelin-starred Yan Toh Heen with Executive Chef Lau Yiu Fai’s eight-course set dinner ($2,988/person) on 6 February. 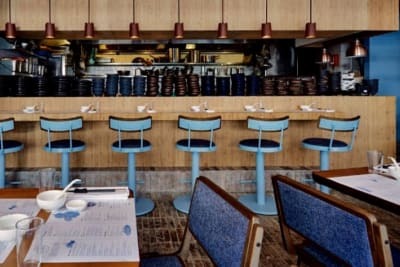 The menu includes a starter showcasing barbecued suckling pig, crispy roll with sea moss, golden lobster with spicy salt and wok-seared sun-dried oyster. This is followed by double-boiled sea cucumber with fish maw and braised whole abalone in oyster jus. Next up is steamed Eastern Star grouper fillet with Yunnan ham and wok-fried Wagyu with white fungus and winter bamboo piths, followed by braised e-fu noodles with Hokkaido scallops and crabmeat roe. 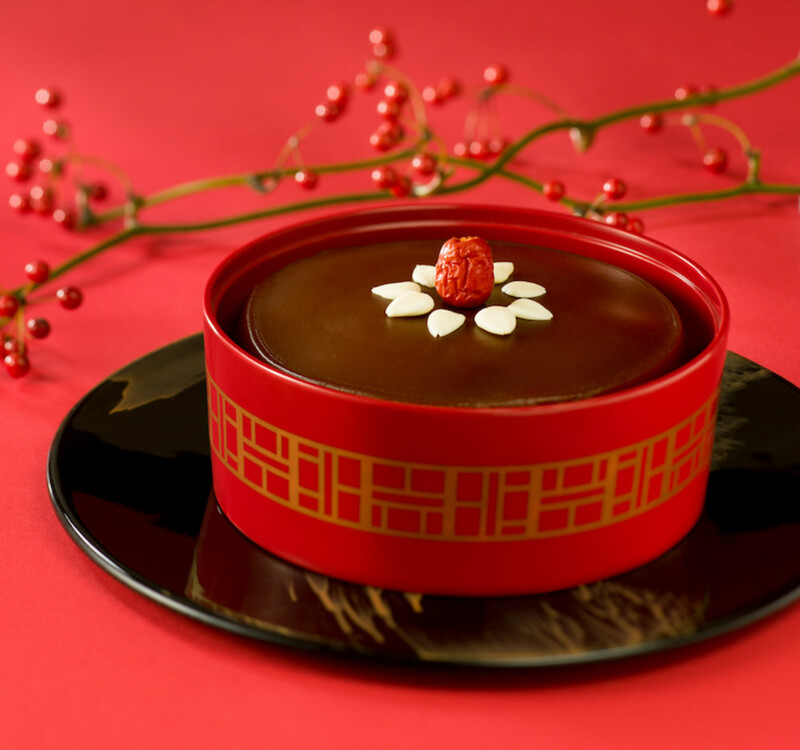 For dessert, there’s sweetened red bean cream with glutinous rice dumplings and chilled red date pudding with bird’s nest served with Wuyi Supreme tea. For the whole month of February, you can also enjoy Yan Toh Heen’s auspicious CNY dish lo hei ($688), which includes cold jellyfish, shredded abalone, fish maw, sea cucumber, roasted duck, honeydew melon, pomelo, mixed bell peppers, turnip, carrot, pine nuts, homemade XO sauce and sesame yuzu dressing. Celebrate the Year of the Pig with an oink-licious feast at City Garden Hotel’s Chinese restaurant, YUÈ. Awarded a Michelin star in 2016, Executive Chef Lai has crafted a speciality menu available from 5–19 February based on the auspicious Chinese zodiac symbol. 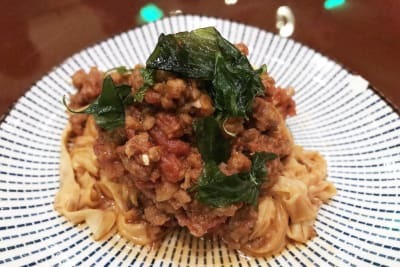 Traditional Cantonese dishes that rarely make an appearance owing to the time-consuming techniques in their preparations will grace the menu, with each dish featuring pork sourced from Europe, the United States and Japan. There’s the delicate stack of Ibérico pork with mullet roe and ginger jelly ($128), a twist on the classic gold coin chicken, sea cucumber stuffed with organic US pork ($188) and the addictive deep-fried scallops with minced Ibérico pork, Yunnan ham and fresh pear ($68). Each year, the restaurant creates a new flavour of Chinese New Year pudding, and this year it’s the light, refreshing yuzu and custard pudding ($199), with just a hint of sweetness, perfect to round off an indulgent piggy feast.